Heat and ice have been used for some time as a means to reduce pain and swelling. They are seen as a simple solution to everything from arthritis to pulled muscles, but what does science have to say about the subject? Studies indicate that they are effective in treating soft tissue injuries and other pains. The consensus is that these natural forces are a relatively safe way to make people feel better. Then again, some treatments, like using ice packs, are associated with adverse effects and health professionals prescribe caution when going down this road. As you may know, ice is the traditional weapon of choice for dealing with soft tissue injuries that involve swelling. Cold therapy, also called cryotherapy, contrary to heat therapy, reduces the blood flow, which attenuates pain-causing inflammation and swelling. 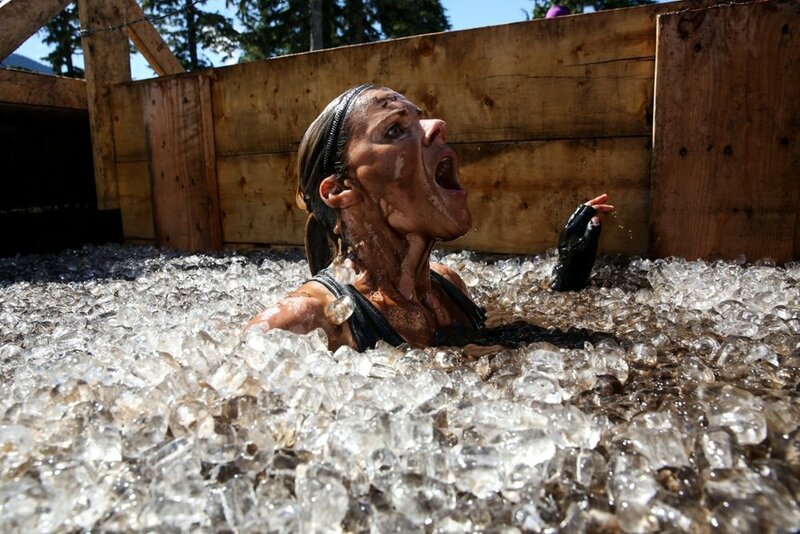 There are various forms of this method: ice packs, frozen gel packs, coolant sprays, ice massages, and ice baths. Alas, while some studies remain inconclusive, others have found a meager, marginal influence cold can have on recovery. Worse still, a growing body of research suggests that this practice does not spur faster recovery and that it may even produce the opposite effect. The reason for this is that lower temperatures at the injury site might delay the healing work our immune system needs to perform. On the other hand, many people have reported benefits in terms of short-term pain management. It seems that, when used in moderation, ice is unlikely to induce negative effects. What is more, it shows promise in treating osteoarthritis of the knee, because it boosts muscle strength and range of movement, without any side effects. Likewise, ice packs come in handy when reducing swelling from surgical wounds, easing neck pain, and treating grout. So, as it turns out, ice therapy has its rightful place in the immediate treatment of injuries, as well as subsequent rehabilitation. It keeps bleeding and swelling in check and reduces stiffness and pain by numbing the area. Just bear in mind the follow rules: ice should be applied within 5-10 minutes of injury and kept on for periods no longer than 20-30 minutes. Heat is widely utilized for pains and aches, in local, regional, and whole-body treatments. There are two basic types of heat treatment: dry heat and moist heat. The therapy can take a variety of forms, including heat pads, hot water bottles, heat lamps, wheat bags, deep heat creams, etc. On top of that, you can also use professional heat therapies, such as ultrasound. Speaking from personal experience, I can affirm that products such as the Doyle's Physio heating pads really work their magic. They harness the power of heat, causing our blood vessels to open, driving more blood to the injured area. As a result boosted circulation and flow facilitate the faster soothing and healing of the tissue. Thus, heat remedies are mostly used for muscles aching from overextension, cramping or spasm pains, and aching pains from chronic conditions. One thing to note: be careful when applying directly to the skin. Gentle warmth does the trick and does not bear the risk of burns and scalds. For added protection, place a towel between the skin and the heat source. Furthermore, do not use heat on areas that are either in poor condition or that are overly sensitive. It should also not be used when treating fresh injuries. This will only add fuel to the fire as it increases bleeding. The only exception is new-onset lower back strain, due to the presence of the muscle spasm. Oh, and a final piece of advice: do not expect miracles as heat has poorer painkilling properties than ice, and they are also short-lived. There is no need to blow hot and cold when you can use them as natural allies in the healing process. Treating pain in this manner is rather effective and it is easily affordable and straightforward. Do not go overboard, however, and make sure to follow guidelines and best practices. Know what situations call for ice therapy and which demand the palliative presence of heat. As a rule of thumb, take advantage of ice for acute pain and injuries that are followed by inflammation and swelling. As for heat, it is a great tool for addressing muscle stiffness and pain. Weightlifting belts - helpful or harmful? Consistency: The key to training success.